This unique coffee mill is hand-built in Missouri by Red Rooster Trading Company. 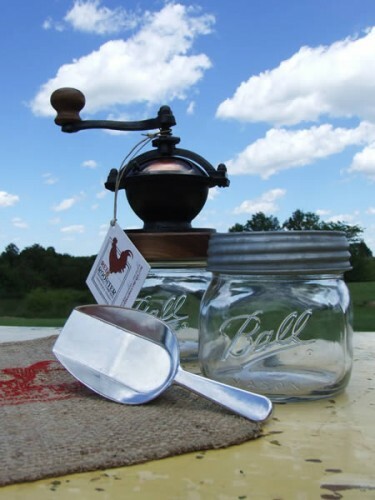 The sturdy cast-iron burrs ensure a uniform grind, from espresso fine to French Press coarse. The wood for the handsome walnut accents is sourced in Amish country in the US. 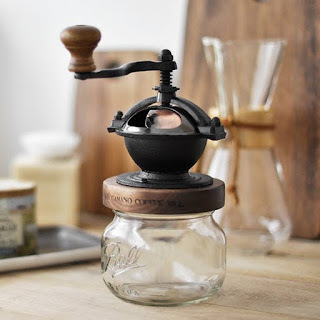 The Camano Coffee Mill is fully and easily adjustable without removing any parts. The lidded hopped holds enough beans for 4-5 cups. An aluminum scoop for refilling the Camano hopper is included.